No, I’ve never seen them. My Dad was stationed in Lossiemouth during the war and he saw them fairly regularly but I think that Nottingham-Lincoln is just about their limit. 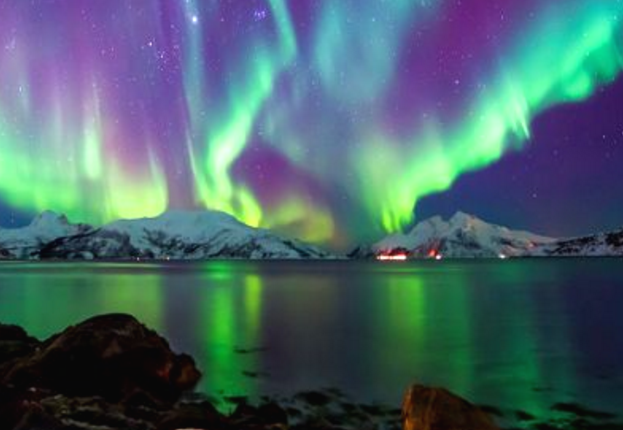 I have never seen Northern Lights, but rest assured, it’s on my bucket list – along with so many other things. Never been through an earthquake either but I definitely left that OFF the list! No, I don’t think my Dad was too happy with his experiences of seismic activity! He said it was very disorientating to have nothing really solid….and that was only a very strong earth tremor. John, I wasn’t aware that you also get tremors in your part of the world. Tremors are part of our day-to-day lives here in California. On Thursday at 12:30 p.m., the chair in which I was seated shook for several seconds. I learned shortly afterwards on the local news that a 5.3 earthquake had struck off our coast near the Channel Islands. Wikipedia has quite a few of those old church “earthquakes”. Our tour guide at Lincoln said they were no longer certain about events in 1185. The suspicion was that the roof was too heavy and the lot came down! I witnessed an earthquake in Kent a few years back and it was the most weird feeling. Solid walls literally moving like paper and the sound is nothing I’ve ever witnessed before! It must have seemed much worse back then! I think he found it quite frightening. He certainly mentioned it a few times afterwards. The only experience I have is of two earth tremors. One was at night and I woke up just 30 seconds before it arrived. Presumably this was some kind of inbuilt caveman thing! I could hear the second tremor coming and it went through the house such that I thought the house was going to fall down. And then it had gone. I’m certainly glad I wasn’t in Kent for a real earthquake. That must be a truly scary thing to be in! It only last a few seconds, as these things do, but it certainly is scary. I thought there wan earthquake in Nottingham every time Forest play Derby! I remember an earthquake in Lincolnshire about 10 years ago. It was in the middle of the night but it woke me as I literally heard it approaching. At first I thought it was a piece of heavy farming equipment driving into the village but soon the contents of the house were shaking and it was fairly clear that it had been an earth tremor. 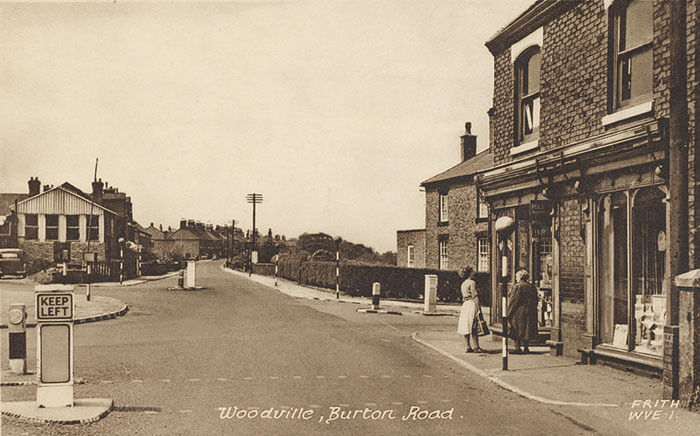 Love the old post card of Woodville. Yes, I mentioned it in a previous reply (above) that I had also been awakened by the approaching tremor just seconds before it arrived. Looking back, the thing it reminded me most of was a Mexican wave in a really big football ground, and the way that you anticipate its arrival. I must admit though, that when the earth tremor arrived, it was a lot more scary than just people jumping up and sitting down! I have always loved the postcard of Woodville. 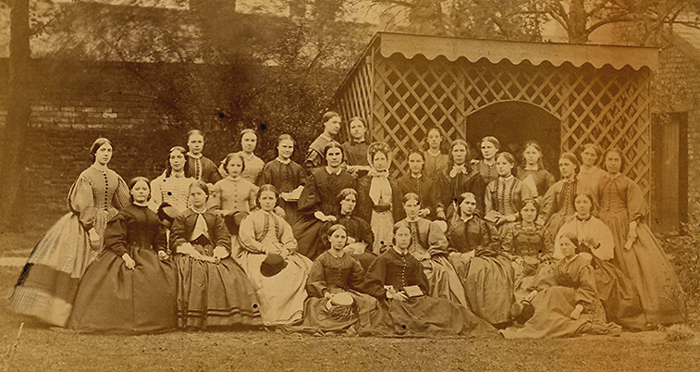 I will probably never know, but the first time I saw it, I thought the two ladies were my mother and my grandmother. The two are certainly a spitting image, as they say, and they both shopped at the Co-op. And what a busy morning for traffic by the way! I like the Mexican wave analogy. It is a great picture, I like the detail especially the Belisha Beacons, the Keep Left Bollards and the old telegraph pole. Simple times! I also remember that earth tremor in South Derbyshire. My mother stood in the doorway of our kitchen and went very pale. As for the Northern Lights, it is the one natural phenomenon I would like to see. I was only three so I have no memory of it, I’m afraid. The first ”weather” memory I have is of the snow starting in the winter of 1962-1963. It started snowing at our back door around 11 o’clock on Boxing Day and soon spread to the rest of the country. That was really bleak weather, especially in short trousers. While not earthquake related, I understand that a great comet appeared early in 1843 was so brilliant that it could be seen in broad daylight from Europe and North America. How was that received? 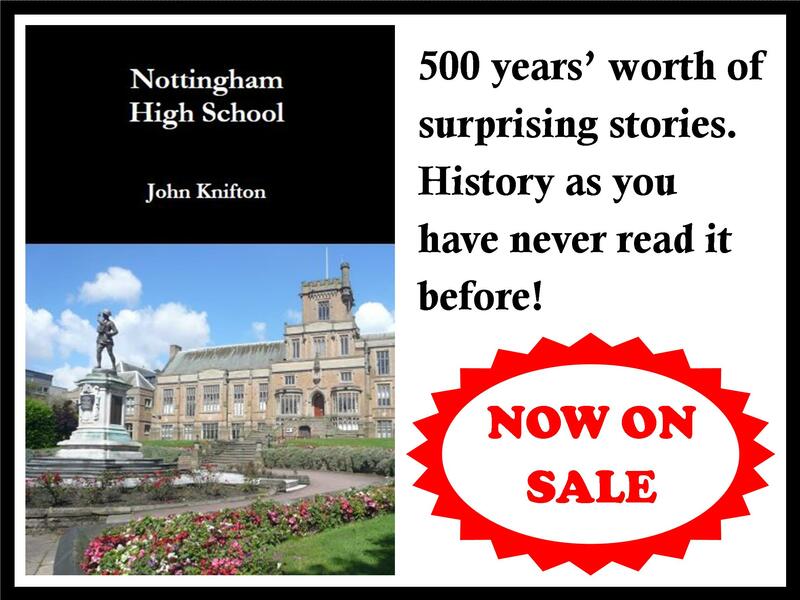 Sorry but I can’t tell you from my usuqal source which is “The Date-Book of Remarkable Memorable Events Connected With Nottingham and Its Neighbourhood 1750-1879″, by John Frost Sutton. If you read for free, then that page is blanked out. Having said that, another source I use,”A Chronological Listing of Early Weather Events” does not mention it. I found a scientist’s view of matters from London, “Report on the Comet of 1843: (From the Report of the British, Association by H. v Boguslawski” Apparently the comet was best seen in the southern hemisphere and there is an account here.. https://sites.google.com/a/aotea.org/don-armitage/Home/great-barrier-island-natural-events/the-great-comet-of-1843. I’m sorry I couldn’t be more help about Nottingham though. 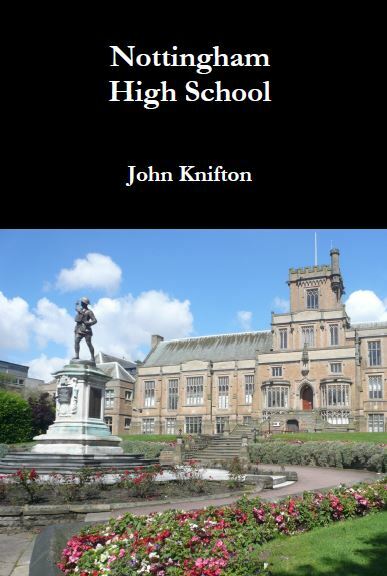 At the time its worthy citizens were busy preparing unrest in support of the Chartists, whose birthplace was, not surprisingly perhaps, in the home town of Robin Hood. I would never have thought of earthquakes in England. Thanks for sharing John. My pleasure Lloyd. There has also been an increase in earth tremors in the areas in England where fracking has been tried. Don’t let them do it in your country! PS I couldn’t help but see the comment about fracking. Unfortunately it is here in the USA and it is terrible. My husband and brother used to fly fish in a world famous fly fisherman stream, but because of fracking there is barely any water left. This is in the Black Mountains of Pennsylvania. I have actually gone there with hubby a few times, camped out in a tent, and fished with hubby teaching me. At those times this stream was incredible and not easy to fish. Today it is a totally different scene. How sad! In Australia we had one this last Ashes series. That must be the reason that our lads performed so poorly. They must have been scared that one of the stands would collapse and squash them just as they were setting themselves for a double hundred. And that moment of being 27-9 before triumphantly moving on to 58 all out, that must have been their very proper fear of Godzilla re-emerging from the sea. And some people even go so far as to say they have no interest in the game. The northern lights are so beautiful. My friend had told me about her experience. Earthquakes must be so terrifying. We have not had them in this part of the world. Thank goodness! I think India must be too big to be moved! We’ve had three earth tremors in the 30 years I’ve lived in Nottingham. One was just a quick cracking noise and one was longer and felt like a train running by as kitchenware and ornaments seemed to shake and set up a high pitched rattle. I wasn’t here for the other one though Julia was. She was in her office at Forest Fields Community Centre when some people ran through from the far end of the building. Their end had shaken but at Julia’s end of the building nobody had noticed it! I remember just the two but that was in the days when we lived in Redhill in the north of the city. I’ve always enjoyed how, in the Middle Ages, the architects of cathedrals which fell down, used to blame it on earthquakes and earth tremors. This happened at Lincoln apparently with the original cathedral built just after the conquest.